Happy 2017! With the New Year brings awesome, new things to do. We’ve sourced all of the best and diverse things to do during January and you can’t miss some of these. Here are 29 awesome curated things to do in LA in January 2017! The 128th annual Rose Parade is still going strong with elaborate floral floats, musical performances, and Rose Queen and her court. Follow the show with the Rose Bowl football game the same day! If you want to get a good seat, the sidewalks are free but you will need to line up early! The California Science Center’s The Science Behind Pixar Exhibition looks at the wonderful creations from Pixar, from 1995’s Toy Story to Inside Out and how computer scientists and artists bring their concepts to the big screen. Co-organized by Pixar Animation Studios and Museum of Science, Boston, the exhibit includes eight, themed and interactive sections, such as modeling, rigging, and animation. The beloved tiny comedy theater and school is giving back to the L.A. community by opening its doors for a day full of free improv workshops, shows, food and prizes for all ages and experience levels! You can even catch free performances throughout the day, from puppet improv to game shows if you feel so inclined. All about the upscale, hipster side of Venice? Then you’ve got to visit the first Friday of the month where local merchants within Abbot Kinney come together every month to feature the best artists, gifts, products and music in the area. Whether you stop on your way to the beach or help out local charities, there’s no reason not to stop by. Not the biggest of SciFi conventions, but still a fun one at that! This event showcases the best new titles in the genres and offers up chances to meet the authors and artists involved in their creation. Each year, the convention hosts exciting panels and workshops that give attendees the opportunity to personally asks their idols questions and learn about up-and-coming projects. Feeling whimsical tonight? Descanso Gardens’ inaugural light-up experience creates a fairyland, wondrous, curiosity-driven display that’s among L.A.’s most stunning lightshows. The interactive, nighttime program has set up eight illuminated installations around the botanical garden grounds, from luminescent forests to free-standing hands-on art pieces. The holidays may be over but that doesn’t mean the holiday spirit can’t be found! The traditional L.A. Zoo Lights celebrate their final night of seasonal sights, sounds and delights of the holidays season, so come and celebrate the finale! Honor one of the greatest activists in the history of Civil Rights! Hosted by the Southern Christian Leadership Conference of Southern California, this week-long festival celebrates the historical accomplishments of Martin Luther King Jr. with various plays, film showcases, interfaith prayers and more. Have you ever wanted to try the naked subway ride in New York? Now’s your chance! Improv Everywhere’s hosting its annual No Pants Subway Ride. Strip down to those “tighty whities” and embark on a discreet mission with other half-naked Angelenos. Did you know that the cheeseburger was invented in Pasadena? Thus making Pasadena Cheeseburger Week one of the greatest festivals in the area! Choose from over forty restaurants to take advantage of burger deals and special creations and vote in the Cheeseburger Challenge. Laugh all night alongside L.A.’s hottest up-and-coming comedians with Time Out L.A.! Time Out L.A. selected “Comedians to Watch for in 2017” which will take the stage at the Downtown Independent while guests enjoy popcorn and drinks from Infuse Spirits. Fancy an offbeat art show? The LA Art Walk started in 2004 as a self-guided art tour including more than 40 galleries and museums spread throughout the area’s many sub-districts, including Bunker Hill, Little Tokyo and Gallery Row on Main and Spring Streets in the Historic Core. It happens every second Thursday of the month in DTLA. Photographers and Instagram buffs alike will enjoy this one! Photo L.A.’s Annual International Los Angeles Photographic Art Exposition in Downtown LA is where you can find dealers from across the globe exhibiting new and vintage works, as well as video and multimedia installations. The event also includes speakers, panels, roundtables and book signings! 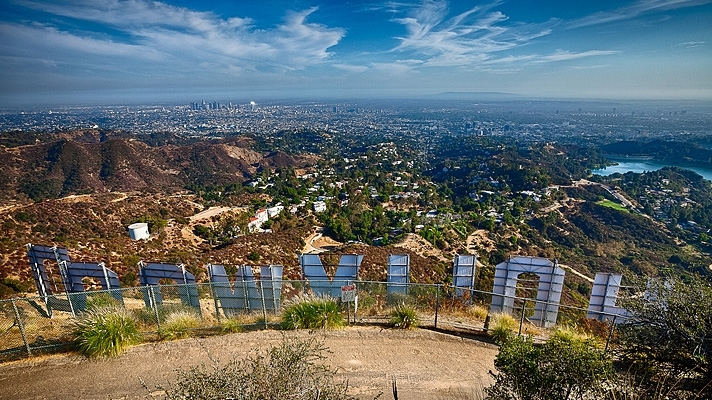 Get ready to see the best view of LA with some of LA’s healthiest hikers! The LA Girl Society is kicking the year off with a girls-only hike to the Hollywood Sign as well as the Wisdom Tree exclusively for members! Sign up to join The LA Girl Society and you’ll get a weekly newsletter with exclusive giveaways, deals and events. Once you’re signed up, RSVP for this hike at the Facebook event page! The Silver Lake Flea Market is held once a month, every second Saturday and is one of the best places to shop in LA! Voted locally as some of the best shopping has been compared to the famous Melrose Trading Post (but is much cuter and quainter). Shop here for some of the best handmade pieces, vintage items, home furnishings and more! Get an early start to the Lunar New Year at this celebration with eight performances stages and three food courts at Fairplex. Highlights include the Silk Show, the Asian Beer Fest and Anime Impulse, a celebration of manga and video games. The Los Angeles Art Show is the longest running venue for contemporary, modern, historic and traditional art in the country! There’s something for everyone here, from art history majors to avant-garde gallery owners. The event will feature top galleries and programming, including lectures, tours, special exhibits, and after-parties, and beginning with a benefit opening night premiere party on January 11. American Cinematheque puts a spotlight on female filmmakers with an evening of directors panels and short films, many of which will make their L.A. premiere. RIOT LA has had a serious upgrade moving its show to the bright lights of L.A. Live and Broadway theaters. Held at over four venues including the Microsoft Theater, the Novo, the Orpheum Theatre and the Theatre at Ace Hotel for three nights of performances, where you can laugh your a$* off. Winos rejoice! Feast and drink from over fifty wineries, food trucks, while dancing to music in a beautiful location. There will also be a Champagne wine bar, an international wine market and a blind tasting bar to kickstart your wine education all at the famous Union Station. Try a different New Year this year with the Lunar New Year in the heart of L.A.’s Chinese community at the annual two-day Monterey Park festival. This street fair takes over five blocks of Downtown Monterey Park with folk art, tasty treats and a carnival zone. The action kicks off Saturday morning with firecrackers and special dragon and lion dances! Pick the brains of LA’s star-studded and creative minds during this lecture series featuring writers, artists, performers, scientists and business leaders. Every week through May, venues around the city will host guest speakers to tickle a variety of Angeleno brains—from those interested in technology to those who fancy literature. Fancy a bit of dance AND film? The LA Dance Film Festival will debut on Thursday, January 26th at the Los Feliz 3 Theatre in East Los Angeles. The festival will feature a diverse range of fictional and non-fictional short dance films from filmmakers from around the world as well as local filmmakers. Have you been dying to have an unforgettable movie experience in Downtown’s historic Broadway? Seven LA venues will open their doors for free during Night on Broadway to host performances and installations. And the party continues outside the theaters with a street festival between 4th and 7th with shopping pop-ups, a family-friendly kids area and a music main stage. Museums Free-For-All Day is when museums all over the region throw open the doors for a day of free admission! So knock a couple of museums off your bucket list like the Japanese American National Museum, Natural History Museum, LACMA and more. Fierce feminism art at its finest! Experience an evening of fierce female passion as Jocelyn Bringas, Rachel Kramer Bussel, Melina Greenport and Jade A. Waters read their contributions from two volumes of tales of sexual delight. It’s a lot more empowering than it sounds.